Due to the time of the year we are very busy like most of you. We are currently running about a week on all shipments from order date, thank you! Fabworks O.E.M. is a manufacturer of custom trailer accessories specific to the lawn and landscaping industry. 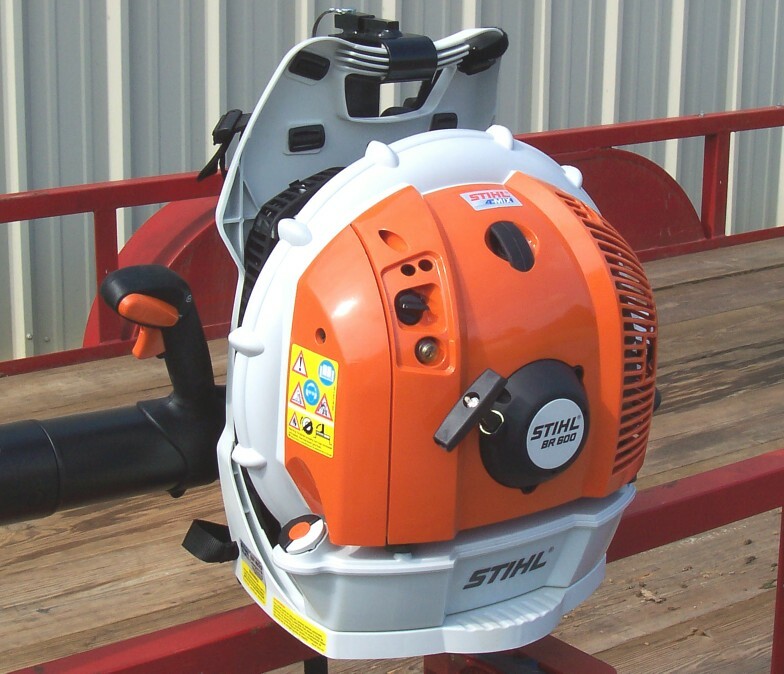 All of our equipment racks are designed to be unique to various name brands of equipment including Stihl, Redmax, Shindaiwa , and others. Since our racks are specifically designed for original equipment manufactured products, our racks offer the best and most secure fit for your equipment and trailer organizing needs. All of our racks are backed with a one year warranty and are produced with world class craftsmanship. So when you choose to purchase from Fabworks O.E.M. 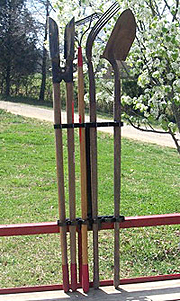 you can rest assured you are receiving the best tool organizers available to the professional lawn and landscape industry. The truth is, our racks will probably outlast your machine. 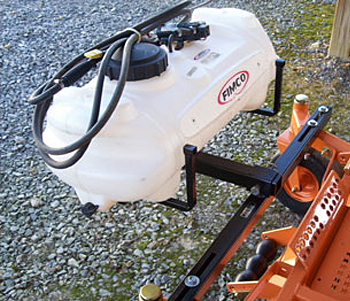 We also offer quality attachments for Zero Turn Mowers and Tractors. Please browse our site, and questions are welcome. If you don't see what your looking for contact us, as we will be adding additional products to the site in the future. We believe that all customers deserve the best service and the highest quality products. Therefore we will meet the demands of the customer by these standards, and we will do it at an affordable price. 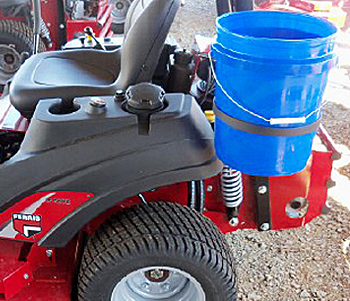 Athens Lawn and Garden has been our premier local distributor for three years. 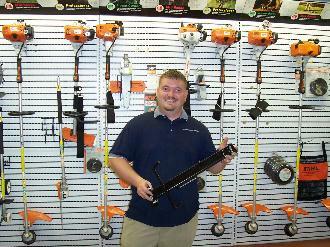 Pictured is Chad Lingerfelt of Athens Lawn and Garden holding a Stihl BR Series Backpack Blower Rack. "Our customers really like the equipment racks produced by FabWorks OEM because the racks are actually designed and made to fit the products that we sell."